Viometrix has a dynamic team that consults on turnkey design projects involving ASIC and FPGA devices, embedded processors, soft-core processors, firmware and application design, RTOS development and porting, and systems engineering. The team at Viometrix possesses strong working experience in challenging projects ranging from the design of the On-Board Computer for a micro-satellite to dedicated digital architecture modules for voice authentication. Due to the vast experience and the knowledge base of the team, Viometrix can deliver solutions in all form factors ranging from systems-on-board to complete systems-on-chip. 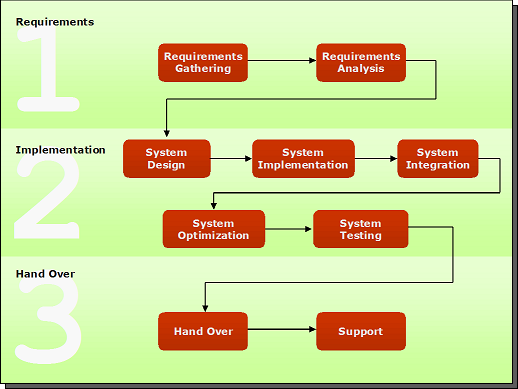 Viometrix follows a detailed and disciplined design process (shown below) that addresses all key product design issues – performance, power consumption, security, environmental conditions, reliability, etc. Region specific compliance testing is also undertaken when designing a system that will be used in regions with different regulatory requirements. An established and competent advisory board is consulted on a needs basis. In addition, Viometrix maintains links with eminent research institutes for research into the constraint-driven optimization of different algorithms.